Just yesterday I watched frogs big and small enjoying the garden pond. One in particular was very fat. 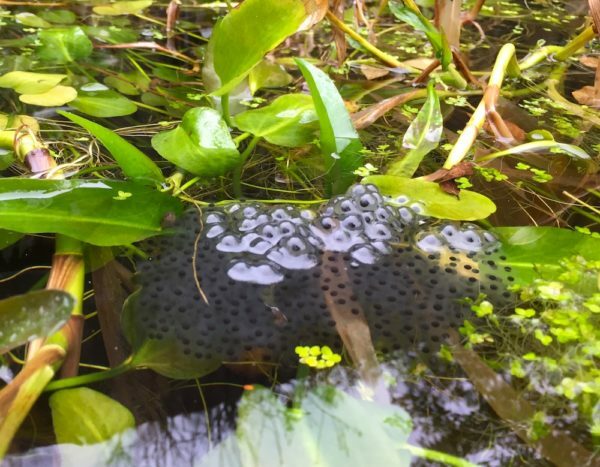 Today – frogspawn! It being a new pond that I built last year, this is the first opportunity so it’s great to see nature moving in fully. But will it survive the renewed cold that we’re promised is coming, and the predators that would presumably like to gobble it up? I hope so. Tiny frogs are just so cute. It’s been a little while, so time for an update! Summer lingered late into September, and I even found myself eating lunch al fresco in October last weekend. Autumn has finally landed however, with plenty of wet and wild weather to knock the leaves off the trees. Garden spiders are everywhere, stringing their massive webs across paths, waiting to trap unsuspecting arachnophobes. 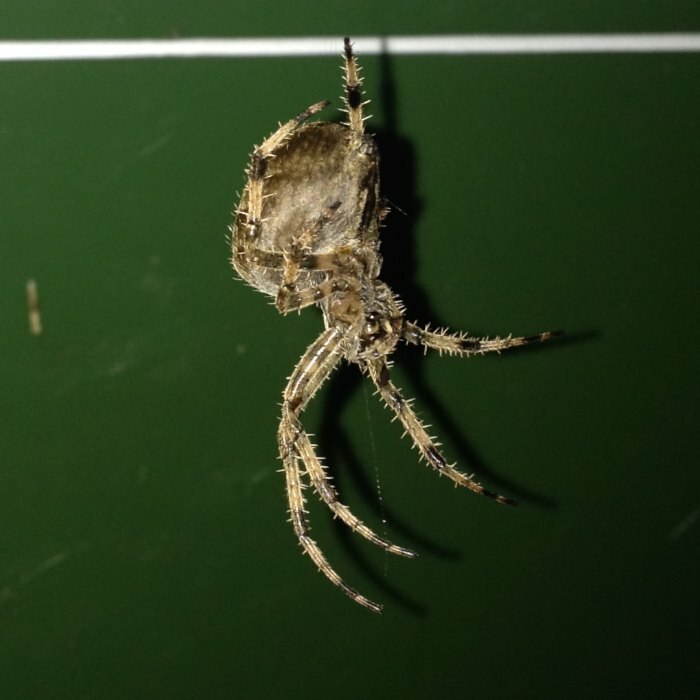 The one pictured above was on the front my recycling bin and was about the largest I’ve ever seen. Absolutely massive! 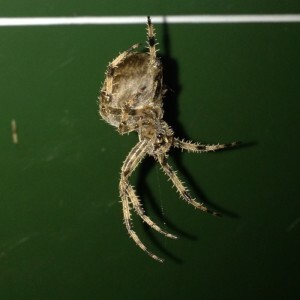 One evening I watched a smaller male Garden spider tentatively approaching a female in order to mate. She wasn’t keen and batted him away a few times before he managed to get in there. I might post the video sometime soon. I’ve run into a few foxes recently, in my own garden and whilst out running. I’m always a little nervous when only a couple of yards from a fox – you don’t know what they might do, especially if they’re desperately hungry, ill (usually mange) or feel threatened. Usually it’s “skulk away”. Such a long hot dry period, and yet when the rains come, the slugs and snails are there right away in incredible numbers. I could imagine people of days gone by imagining that they actually come down in the rain itself overnight. Wow it's been a strange winter – very wet, though I'm glad to say I live on high ground, but remarkably warm overall. I only remember a few mild frosts and the temperature has been in the mid teens for the last couple of weeks. My garden seems to be well ahead of the game compared to last year and I have some things that have just kept on flowering through the winter. I expect a harsh frost to descend in April and kill everything. The blossom is out on many trees and is beautiful. I presume it's banks of hawthorn along many motorways that have been making them a pleasure to drive along. Massive queen bumble bees have been bumbling for a few weeks now, looking for nest sites. Butterflies are on the wing – I think I've mostly seen Commas but they didn't stop long enough to be sure. Did you know that Harvestmen (Opiliones) cluster together in a dense mass? Neither did I, but there are some great videos out there. People tend to name them incorrectly as spiders mind you. Note that Americans call them Daddy Long Legs, but we use that name for Crane Flies mostly. If you missed WinterWatch on the BCC over the last week, it's all available online, incluing "Live: Winterwatch at the Big Garden Birdwatch" throughout this weekend. I wish someone would invent a bird feeder that's impervious to terrible weather. I find that mine get wet inside courtesy of the rain driving in sideways pretty much every day. Then the contents stick together and go mouldy, requiring a full clean out only a couple of days after filling them. Does anyone know of such a feeder? This strikingly beautiful wasp appeared as I worked in the garden, perhaps disturbed by my activity. I'm confident it is Pimpla rufipes, common in the autumn and fairly widespread. It doesn't have the enormously long ovipositor (pointy bit at the end of a female, for laying eggs) that some ichneumon wasps do. See my previous ichneumon post for a cracking example of that. Here are some things I've noticed recently. Butterflies, butterflies everywhere. Mostly small whites all over the purple flowers in the garden, and the brassicas of course. Also small tortoiseshells and peacocks. A perfect example above, alighted on my shed. Garden spiders are starting to make themselves conspicuous, with webs spun across pathways waiting to catch me out in the morning. 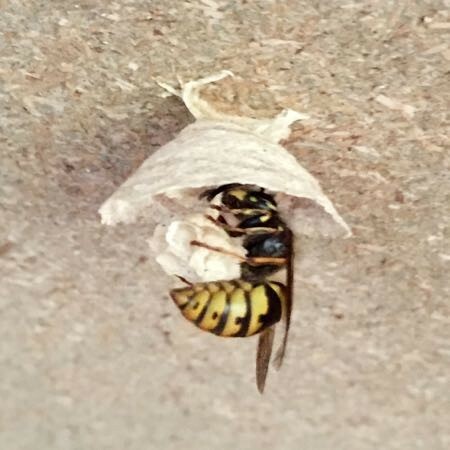 Wasps are now well established, after being a bit thin on the ground earlier in the year. They can't half wreck a nice outdoor meal, though luckily my kids don't fear them yet. Lots of leaves off some trees, presumably due to the very dry spells recently.